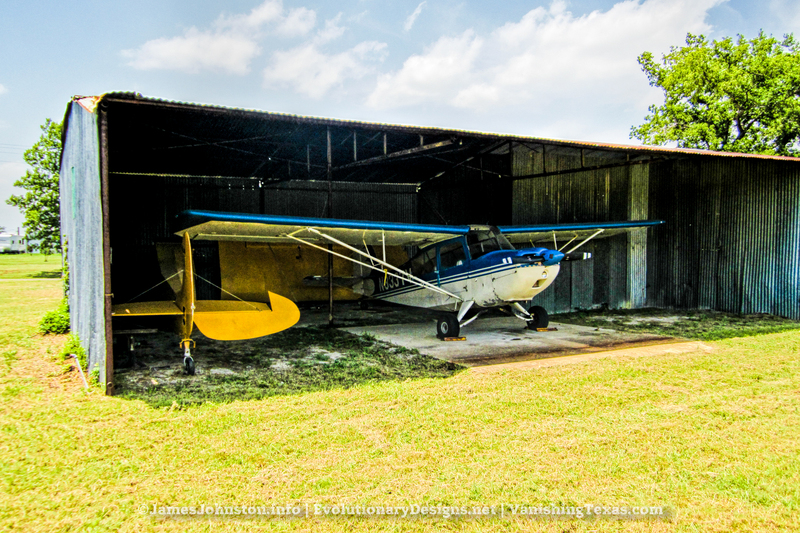 The Flying Tiger Airport & Flight Museum in Paris, Texas once housed a great collection of retired old war birds and few other air planes. Years ago the owner closed the airport and museum down and eventually sold or returned them to their owners. From what I found during my research, the museum had some incredible retired war birds that were restored and on display for the public. The few planes they had were a B-17 Flying Fortress (bomber WWII), P-51 Mustang (WWII), F-86 Sabre, and a F4U Corsair. 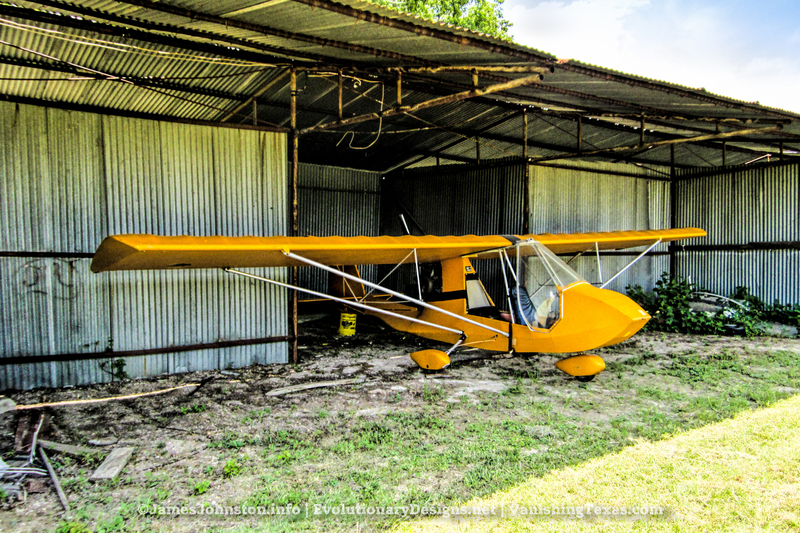 They also had a few other planes including a Martin 404 Passenger Plane that can still be seen on the property and is a local favorite for photographers and travelers passing by. I believe the airport may have closed down some time in the 1980s or maybe in 1991 since the last year the old Martin 404 Passenger plane flew was in 1991. Make sure to check out the vintage photos from 1981 of some of the planes on site then. I am not sure why this place was shut down or what happened to the old birds that made their home at the Flying Tiger Museum but, I do plan on visiting the place again and see if I can find the owner. I would love to get access to the 404 and get some history on the plane and the Flying Tiger. As of two years ago (original writing 4/2015) there isn’t much left. The hangars are still there and full of old planes and parts. Around the hangars you will find a handful of personal planes in various stages of being parted out.The above picture shows what’s left of the planes on site. The 400 Martin Passenger Plane isn’t much better off. Its still mostly whole from what I can tell and the owner moves it around the field when its time to cut the field. Make sure to check out the Gallery at the bottom of the article. It gives you an idea what was on site as a few years. Please Note: This article was originally written back in April 26th, 2015 on VanishingTexas.com. That sit is no longer affiliated with us. All content from that site is slowly being migrated and updated to this site. All photos featured on this article were taken a few years before April 2016 unless noted. I recently made it back out the air field back in April 2016 and found the owners had removed all the visible salvaged air craft and there is beautiful new house at the air field and they are in the process putting up a stone and metal pipe fence. I was told by a follow photographer that there air craft in the hangers and old War World II fighter plane in one of them (may have been the old Corsair). I plan on going back out to photograph the Martin again and if the owners are available speak with them. The original article images were shot by hand using my Canon Powershot sd960 is by hand. I then edited them in Adobe Lightroom. I also post processed the images with Topaz Clarity to add texture, brighten the images, and bring out the details in the images. Then I removed the dust spots and I used Topaz DeNoise to remove the noise from the images. The images shot in April of 2018 were shot by hand on an overcast day with my Sony a6000and the Sony 16-50mm f3.5-5.6 OSS Power Zoom Lens. We plan to go back and shoot the area again in the fall or next spring. Thanks for this article. I am from Paris and last time we were there looked for the planes and wondered what happened.